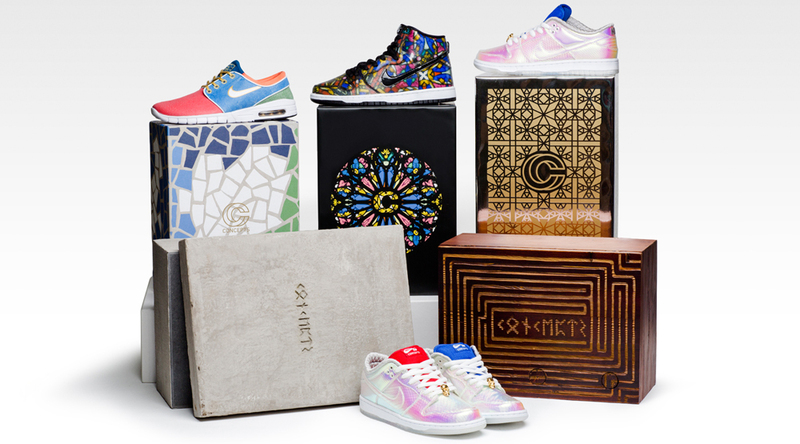 Check out the "Grail Collection." 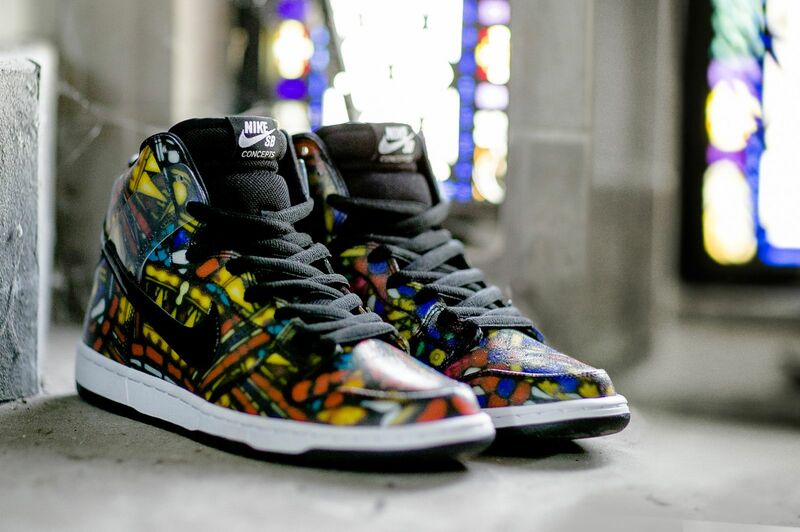 Concepts has not one, not two, but three Nike SB sneakers releasing this week. 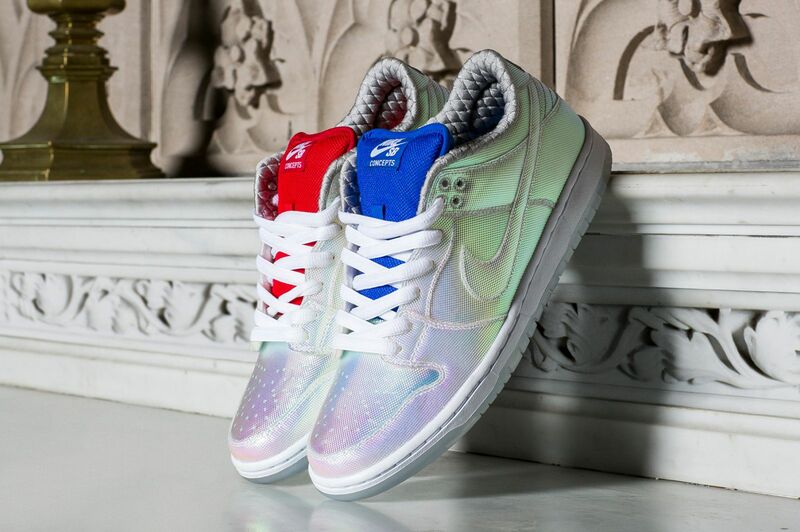 The group, known as the "Grail Collection," features the Nike SB Dunk Low, Nike SB Dunk High, and the Nike SB Janoski Max, each of which will release exclusively online at cncptsintl.com and in­store at Concepts' Cambridge and NYC locations on July 25. 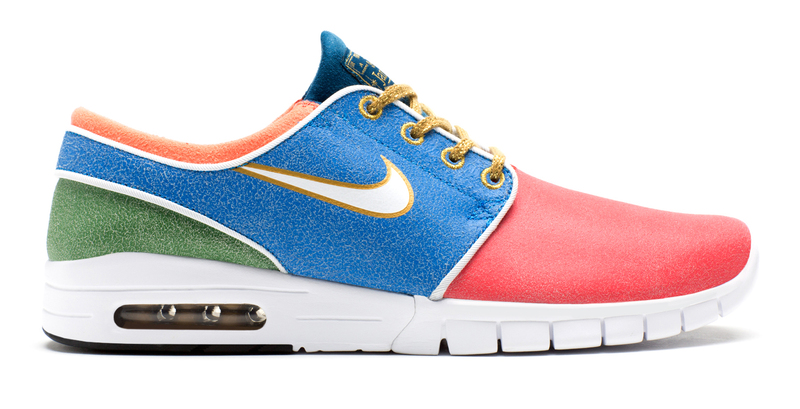 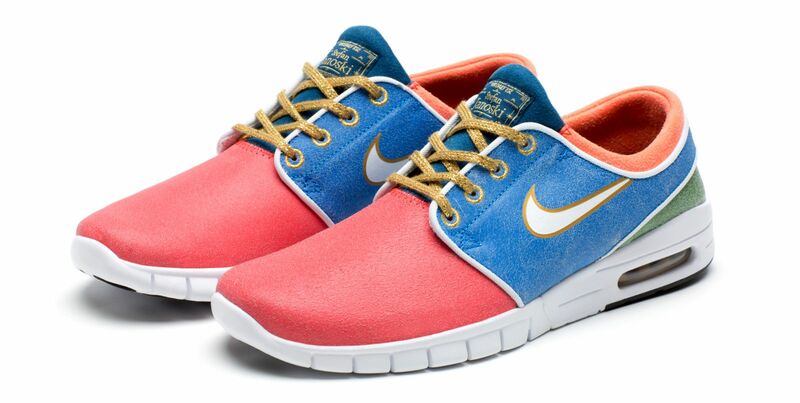 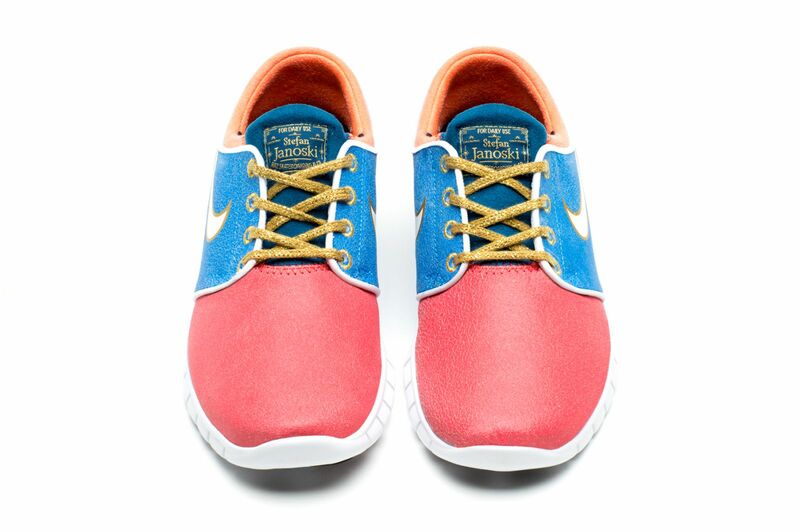 The Nike SB Janoski Max "Mosaic" has a wear-away upper that reveals a clean white suede over time. 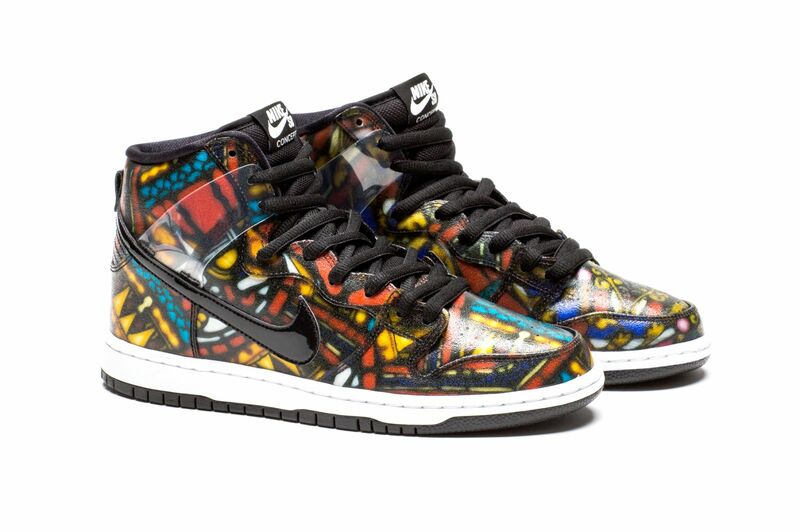 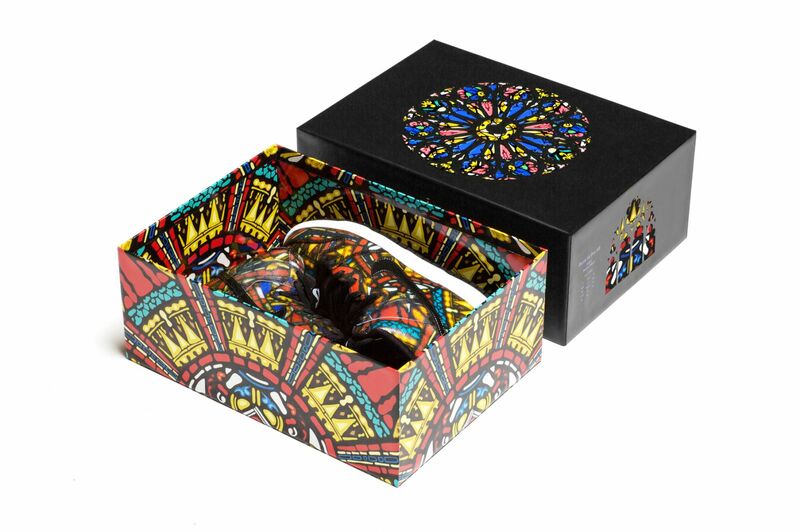 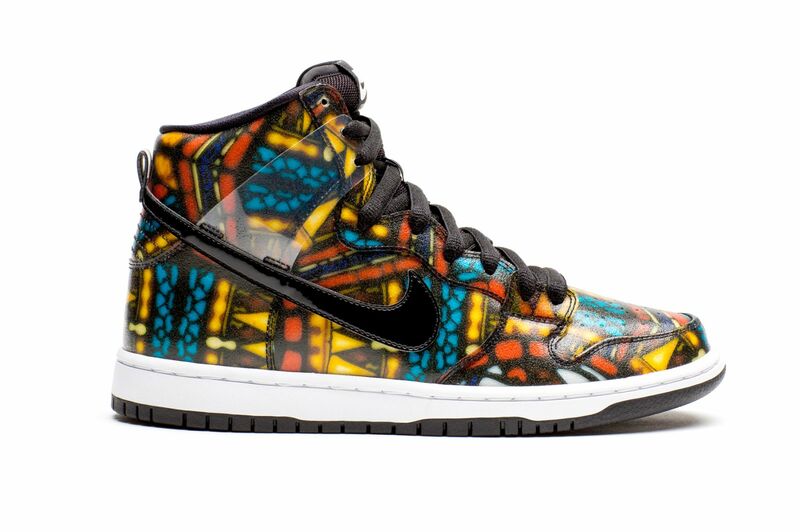 The Nike SB Dunk High "Stained Glass" features unique prints across each pair, so no two are exactly the same. 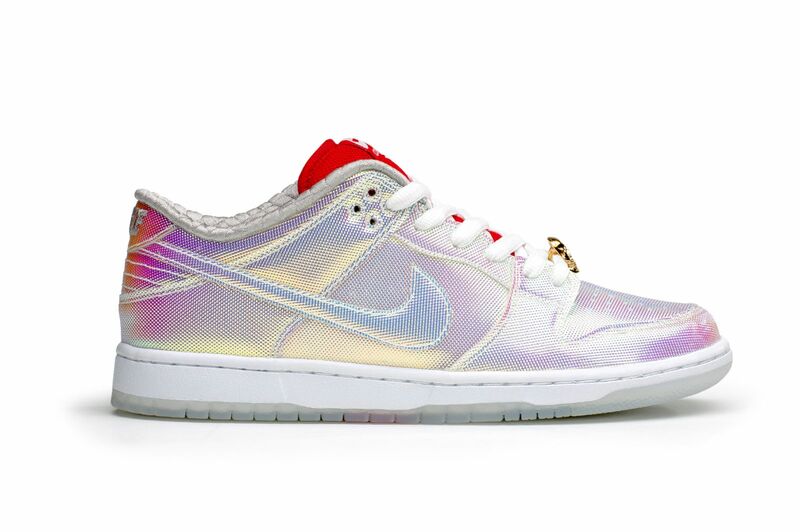 And the most mysterious of the bunch, the Nike SB Dunk Low "Grail," is a true Concepts exclusive. 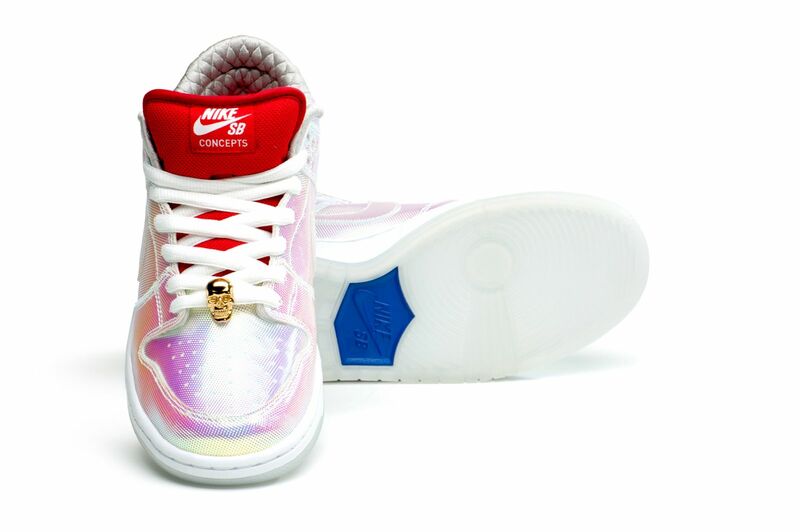 This sneaker features an iridescent upper and golden skull lace locks. 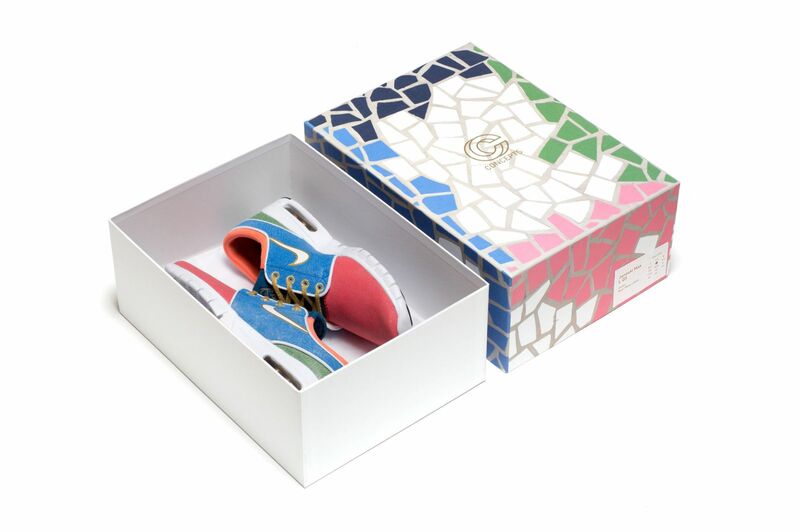 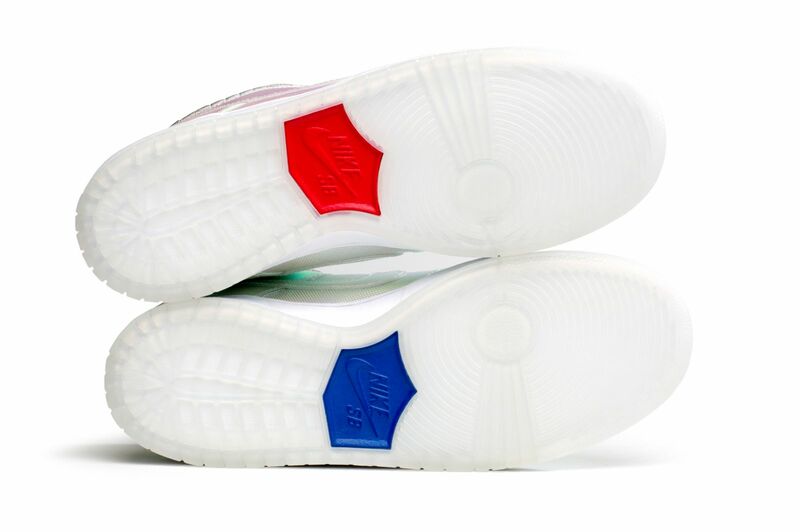 Particularly special here are the custom boxes for each shoe, which are exclusive to Concepts. 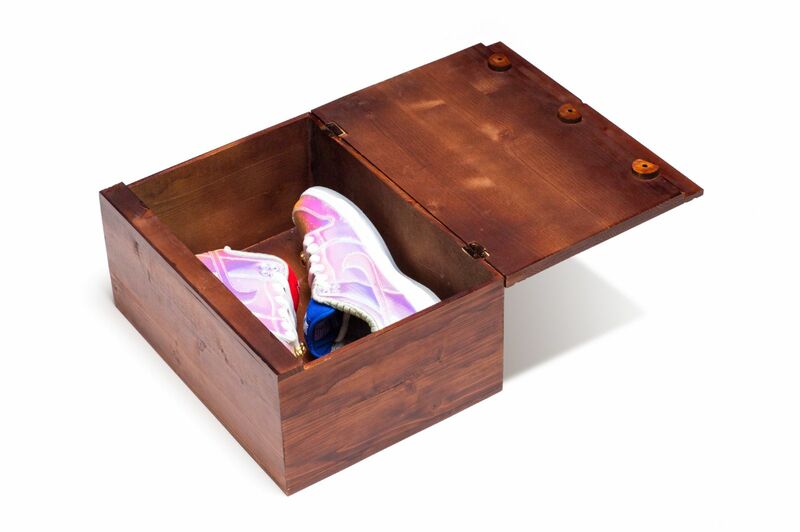 There are two separate special packages for the Dunk SB Low: the Concepts Cambridge location will have 100 cement boxes and 200 wood boxes, while the New York location will have 300 wooden boxes. 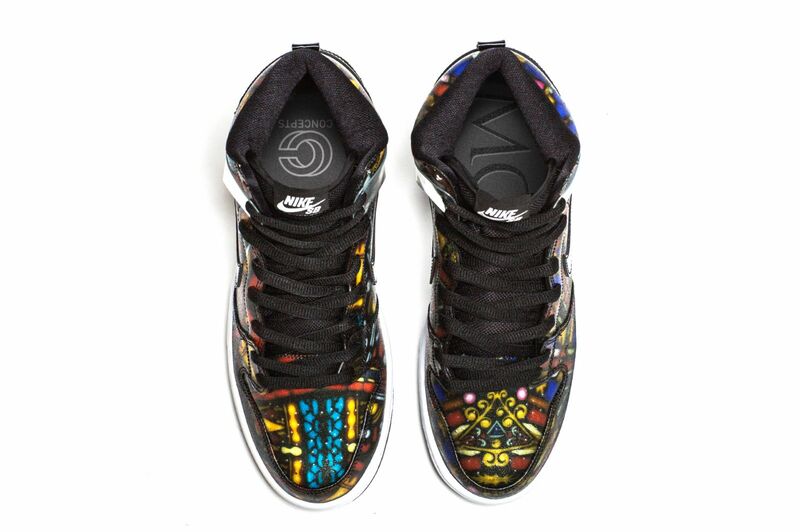 Concepts x Nike SB "Grail Collection"
Concepts x Nike SB Dunk Low "Grail"
Concepts x Nike SB Dunk High "Stained Glass"
Concepts x Nike SB Stefan Janoski Max "Mosaic"